Our borehole installations are drilled in an efficient manner causing as little inconvenience to the client as possible. The drilling site is kept neat and tidy at all times and secured over-night. Once the borehole drilling process has been completed the drilling site is restored and our equipment removed by our permanently employed skilled and trained staff members. The team allocated to equip the borehole with the pump and related equipment is trained to do this in an efficient and quality controlled manner. The borehole systems require to be serviced and maintained on an annual basis. In areas where high levels of iron occur we recommend a bi-annual service. This would entail the removal of the borehole pump, servicing of all working parts and the assessment of the borehole condition. 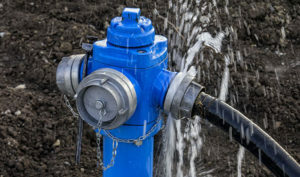 The service, repairs and maintenance of borehole pumps is highly recommended. The submersible borehole pump is exposed to water containing high levels of mineral elements should be serviced regularly to prevent damage.